The Enuca Soak Me In Serum was part of the door gift from the company when I attended the Enuca launch at the White House. I have tried the product and here are my thoughts. This ultra-hydrating serum provides a refreshing burst of moisture to instantly rejuvenate dry, thirsty skin. The light, soothing gel penetrates to the source of skin's hydration needs to restore balance between water reserves and water loss. The results? Supple, firm and vibrant complexion that is more resistant and better able to combat external aggression. Fine lines and premature wrinkles disappear revealing a silken glow. Anti-inflammatory properties and antioxidant benefits in Mallow Flower extract soothes, heals and moisturises while Hyaluronic Acid locks in moisture through a "water reservoir" function. Massage evenly onto clean skin before applying moisturiser. Use day and night for best results. 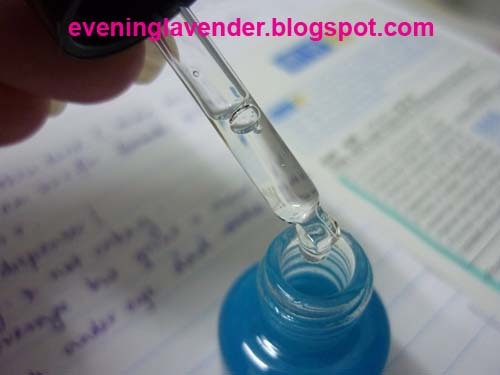 AQUA (WATER), GLYCERIN, MELISSA OFFICINALIS FLOWER/LEAF/STEM WATER, BUTYLENE GLYCOL, PENTYLENE GLYCOL, XYLITYLGLUCOSIDE, ANHYDROXYLITOL, PHENOXYETHANOL, XYLITOL, TAMARINDUS INDICA SEED EXTRACT, ETHYLHEXYLGLYCERIN, SODIUM HYALURONATE, CAPRYLYL/CAPRYL GLYCOSIDE, ACRYLATES/C10-30 ALKYL ACRYLATE CROSSPOLYMER, HYDROLYZED WHEAT PROTEIN, DISODIUM EDTA, FUSEL WHEAT BRAN/STRAW GLYCOSIDES, SODIUM HYDROXIDE, BENZYL ALCOHOL, POLYGLYCERYL-5 OLEATE, SODIUM COCOYL GLUTAMATE, GLYCERYL CAPRYLATE, MALVA SYLVESTRIS (MALLOW) FLOWER EXTRACT, DEHYDROACETIC ACID, CITRIC ACID, SODIUM BENZOATE, POTASSIUM SORBATE. 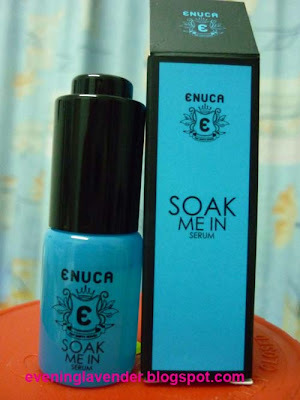 I can feel that my skin is well hydrated after using this serum overnight because it has hyaluronic acid. Dislike: I guess is the price tag but then again the product is from Switzerland. So, I think the price tag is reasonable. Overall, I have no complaints about this product and if you want to try this product, you can purchase the travelling size first via www.enuca.com. At the moment, Enuca only delivers to Malaysian address. Thanks for reading and hope you will visit me again for some interesting reads. I think the upcoming post should be nail related.